Writer/Director Benjamin Stevens’ first feature film is a gripping lost-in-the-woods video-verite horror flick that begins with a whimsical search for the lights of the Will O’the Wisp and then descends into a struggle for survival against an unforseen biological threat. As four attractive, articulate and gamely overconfident pre-grad twentysomethings become inarticulate, unconfident and unattractive as they face the growing unknown, the film’s intensity builds expertly into a palpable sense of terror. 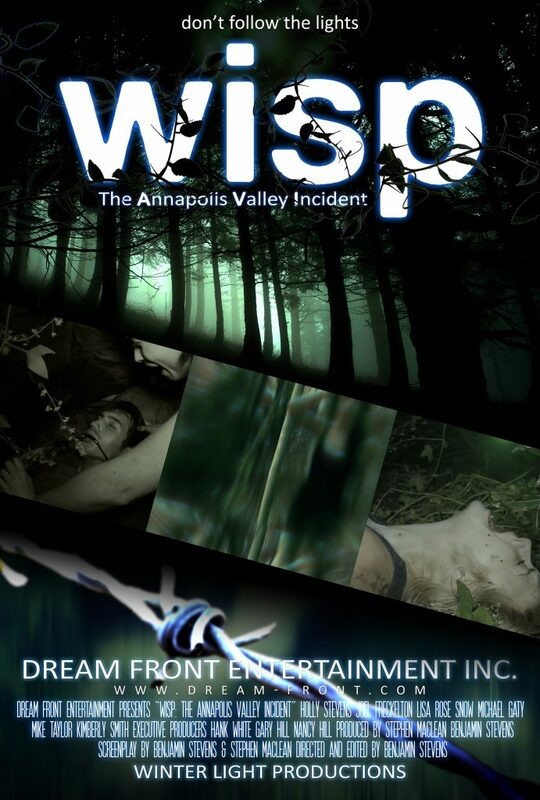 Tense, engrossing and tersely executed, Wisp is a briskly original take on a well-worn genre that examines the fragile bonds of today’s social-media-mad generation. Featuring Holly Stevens, Lisa Rose Snow, Joel Freckelton, Michael Gaty, Michael Taylor, Kimberly Smith.